Matt was born in Carbondale, Illinois and grew up in Southern Indiana. Matt earned a BFA in Ceramics and Art History from Indiana University in 2007 after spending significant time in China where he studied the history and technology of Chinese porcelain. After graduation, Matt spent two years teaching English and working in a small clay studio in Seoul, South Korea. Before attending Graduate school in Utah, he spent two years as a resident artist at the Armory Art Center in West Palm Beach, Florida. In 2016, Matt received his MFA in Ceramics at Utah State University. 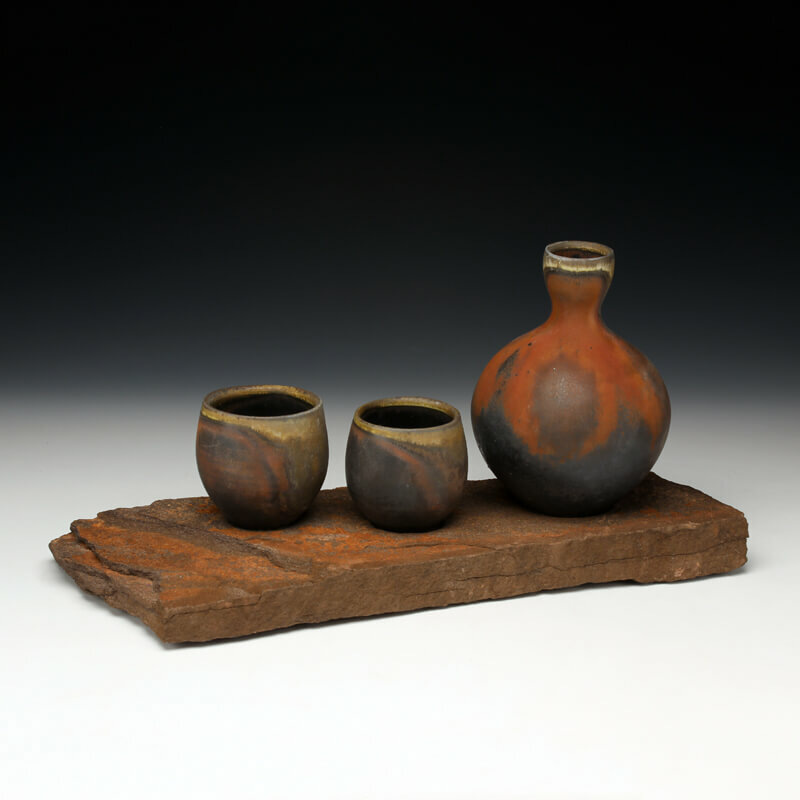 He worked as a long term resident at the Red Lodge Clay Center in Red Lodge, Montana, and recently moved to Sitka, Alaska where he continues to research the intersection of ceramics, geology, and material science. My work explores the intersection of ceramics, chemistry, and geology. In my mind’s eye, glaciers give way to icy celadon glazes, volcanoes ooze magma as molten glazes cascade down curves and roll off edges, crystals grow and forms take shape when conditions are right. I’m an avid rock hound, and for the past three years I’ve explored the mountains and landscapes of Utah, Idaho, and Montana. There are many gemstones that have analogues in ceramics – and much of my research has been centered on studying and understanding the underlying science of materials and firing processes. For me there is something incredible and romantic about the idea of transforming rocks and dirt into beautiful things. In the end I strive to integrate my desire to make utilitarian pottery with a love of materials and nature. What drew me in and keeps me interested on a daily basis are the endless variations possible in ceramics. The idea of constantly searching for new possibilities is at the heart of who I am and why I do what I do. At the same time, I love the constant challenge of pairing forms and surfaces, borrowing from the rich history of ceramics. I think my strongest work finds a balance between all of these ideas, and my hope is that my work evokes a similar curiosity in the people who see and use it.